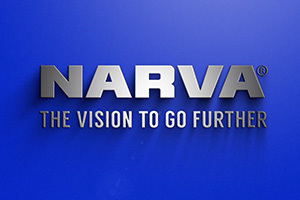 Narva, the brand that aims to deliver the world’s highest quality vehicle lighting products, wanted to showcase their passion in exceeding expectations and as their slogan says, ‘the vision to go further’. With the DBC2’s video production team and a strategy formed, a series of videos were produced, showcasing the innovation at the heart of Narva. The first video celebrated the efforts of a Narva employee that devised a more efficient production area within the organisation. Wanting to capture the way the employee works – which is creatively, the video produced was shot as an action movie trailer, which was just as fun as it sounds. Another video highlighted Narva’s OE team’s efforts in the delivery of a highly innovative solution to OE customer Toyota Motor Corporation, where they co-developed the lighting system for the 2018 Toyota Hilux “Rugged X”. This video gave a brief insight into the newly created lighting system, as well as an explanation by team members who were involved in the production of this Toyota light bar project. Business Brown and Watson, parent company to Narva, took a new approach to workplace health by providing Narva employees with training in the form of stretching and flexibility exercises. Our video production team filmed at the Narva head office to shoot an informative video, explaining how and why the training is performed each morning. With the personal, human side of business a strong way to connect, employees also spoke about how this training has helped them with their daily working lives. All three video combine to illustrate how Narva continues to innovate and develop within their organisation, and why they continue to be a market leader in the field of automotive lighting and electrical equipment.